Hand planes come in a bewildering variety of sizes. Why are there so many? I'll help explain this mystery by dividing the field into four groups, in order of size: block planes, smoothing planes, jack planes, and leveling planes. I'll show you what the planes in each group are used for, and recommend two different starter sets. Each group best serves a particular purpose. Smoothing planes, for example, are specifically designed to make wood as smooth as silk, ready for a finish. In general, length is the key to understanding a group. Picking a plane at random, you could use it for most any task, but pick a plane that's the correct length and you'll get the job done much faster, with better results. Block planes are often associated with carpenters and do-it-yourselfers because they're inexpensive and small enough to fit in a toolbox or toolbelt. They have important roles in the woodshop, too. A high-quality block plane can do amazing work, and may become one of your favorite tools. Types. Standard-angle block planes are the most common. Their blades are bedded at about 20 degrees, with the bevel facing up. If the blade is sharpened at 25 degrees, its effective cutting angle is 45 degrees, which is similar to larger planes. In a low-angle block plane, the blade is bedded at about 12 degrees, resulting in a much lower cutting angle. Pocket-sized planes have a standard bedding angle; what distinguishes these planes is their ultra-small size and light weight. Uses. Block planes are well-suited for planing end grain or for fitting drawers and doors, where part of the assembly is end grain. Planing end grain requires more force than planing face grain and puts more stress on the blade. Block plane blades chatter less because their bevels face up, not down, as is the case with most larger planes. Bevel up, the blade's tip has additional support from the plane's body. Planing end grain using a low-angle block plane requires less force than using a standard-angle block plane. Block planes have more uses beyond planing end grain, though. They're very comfortable to hold in one hand for shaping parts and chamfering edges. A pocket plane is easy to carry around in your apron. Block planes are designed for cutting end grain, such as the stile of this door frame. Their compact size also makes them perfect for planing with one hand. A smoothing plane is a serious hand-tool user's best friend. Set to cut a tissue-thin shaving, it can make a board feel smooth as silk. The wood's grain will pop in a way that you can't achieve through sanding alone. Types. The No. 4 size is the type most commonly used, although the larger No. 4-1/2 is gaining in popularity. The 4-1/2 is heavier than the 4, and that added mass makes it easier to maintain momentum while planing difficult woods. A No. 4 blade is 2-in. wide, while a No. 4-1/2 blade is 2-3/8-in. wide. A No. 3 smoothing plane is lighter and narrower than a No. 4. It's perfect for a user with less muscle power because its shavings are narrower. The blade of a No. 3 is 1-3/4-in. wide. Uses. Smoothing planes prepare boards for finishing. Their relatively short length makes them ideal for planing a wide board or a glued-up top because they can follow slight irregularities in a board's surface and still make a long, continuous thin shaving, the gold standard in smoothing work. 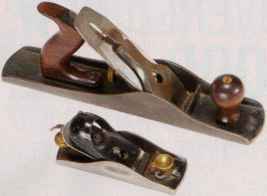 Longer planes require a board to be flatter in order to make continuous shavings (flatter than need be, quite often), so these planes are less practical to use in preparing wood for finishing. Fine-tuning a smoothing plane can really pay off: on many woods, you can make a surface so smooth that little or no scraping or sanding is required. Smoothing planes take the place of power sanders. They're used for making a surface ultra-smooth and ready for finishing. Jack planes can both level and smooth a surface.They're useful for evening up one piece with another, such as this breadboard end on a tabletop. Leveling planes are used to make edges straight, such as these two boards, which will be glued together. 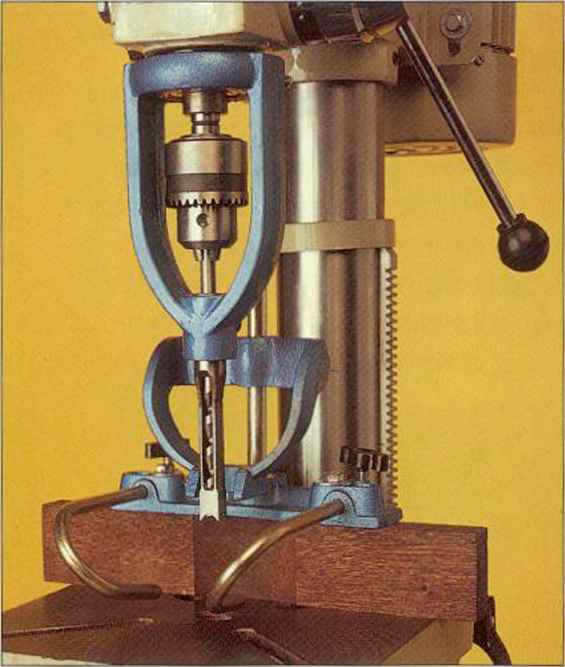 Leveling planes are also used to make large surfaces flat and true. "He's a jack of all trades, but master of none." That expression perfecdy describes ajack plane, and helps explain the origin of its name. Ajack plane is longer than a smoothing plane, so it's not as efficient in smoothing a large top because it takes more strokes to cut down to the low spots. It's shorter than a leveling plane, so it's more difficult to use in making an edge straight or truing a large surface. But it can smooth or level reasonably well. Types. The classic jack plane is a No. 5. Its blade is 2 in. wide, the same as a No. 4, but its body is about 5 in. longer. A No. 5-1/2 is longer, wider, and heavier than a No. 5. Like a No. 4-1/2, this additional mass makes it easier to plane difficult woods. The No. 5-1/4 is shorter, narrower and lighter than a No. 5. It was designed for youngsters learning to work wood in shop classes, and is often referred to as a manual-training plane or a junior jack. Uses. You can smooth or level with ajack plane-it just takes a bit longer than using a more specialized smoothing or leveling plane. If you sharpen a jack plane's blade with a pronounced curve, this tool is perfect for hogging off a lot of wood fast, in any situation. Ajack plane is also useful for evening joints, such as a table leg and rail, because this operation combines both leveling and smoothing. Leveling planes are long, wide, and heavy. They have two specific purposes: straightening edges and flattening large surfaces. Accuracy is the goal in both situations, and that requires a plane with a long, flat sole. Types. The leveling plane most often used these days is the No. 7, more commonly known as a jointer plane. As its name implies, a jointer is best suited for straightening edges prior to joining them together. A No. 6 plane is the same width as a No. 7, but about 4 in. shorter. The No. 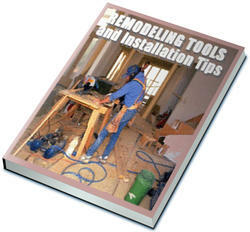 6 is best suited for leveling the majority of a large surface (see Breadboard Ends, page 69). It's commonly known as a fore plane (because its used before a smoothing plane, which finishes the job) or a trying plane (because it makes a surface true and flat). A No. 8 plane is a behemoth: it's longer, wider, and heavier than a No. 7. Uses. One plane, either a No. 6 or a No. 7, can be used for jointing and truing, although baring both is ideal. If you have only one, it's best to have two blades. Jointing requires a blade that is sharpened dead straight across; truing is most efficiently done with a blade that's sharpened with a slight curve. A No. 8 is so large that it can be a bit unwieldy, but it's the perfect plane for jointing a long, wide edge, and useful for big jobs such as fitting an entryway door.